BEVERLY HILLS, Calif. — As "The People v. O.J. Simpson" rides the high of its 22 Emmy nominations, the writing team behind season two of the FX anthology series "American Crime Story" is hard at work on scripts for the next installment, which focuses on Hurricane Katrina. "We want the events that brought America together and also that shine a light on the parts of America that maybe we don't want to acknowledge," said executive producer Brad Simpson on Tuesday following a panel for TV critics about "The People v. O.J. Simpson." "I think with Katrina there's a lot of stuff. This was a natural disaster waiting to happen, and it will happen again in America." Simpson credits series creator and writer Ryan Murphy with the idea of tackling Katrina in season two. 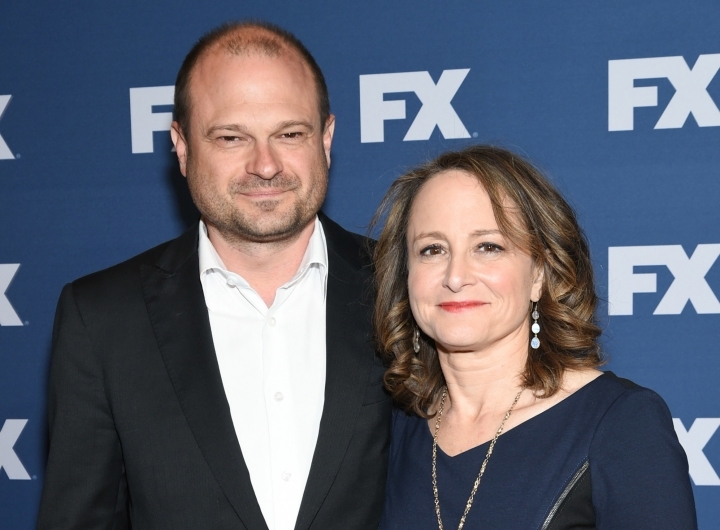 But Simpson says he and his producing partner Nina Jacobson had long been fascinated with the idea of a story about the topic. "There were crimes that happened during Katrina. Murders, rapes, you know, and there's also the crime of us not rescuing these people and not being prepared to take care of New Orleans," he said. Simpson also said the production team was careful to not pick another courtroom drama. "We don't want to repeat ourselves, and that's part of the thing. We did the crime of the century. We like to define crime broadly. ... I love true crime, but I just don't love one kind. We'll probably someday pick maybe something along the lines of a less famous case that has great, juicy stuff. We'd like to tell the story of injustice. We wish we had 'Making a Murderer' or 'Serial'. .. but, you know, those (topics) have been done. We're exploring lots of formats throughout history." As for source material on Katrina, Simpson said they "have a book" they're working off of but also employ a researcher helping to gather information. Simpson adds that once the scripts are more concrete, they will know which roles they have to cast. But they would like to tap from the "People v. O.J." if they can. "We'd like to use as many actors as we can. It's gonna be subject to availability whether we have the right roles. You know, certainly Sterling (K. Brown), (John) Travolta, Sarah (Paulson), Cuba (Gooding, Jr.). We'd like to figure out if there are roles for them." He wouldn't confirm a character of former President George W. Bush, who was named in much of the criticism about Katrina. But Simpson said, "The people that you'd imagine are probably gonna be in it, and then people that you don't know will also be in it." Season 2 of "American Crime Story" is slated to return to FX in 2017.